Comfortable apartment set few minutes walk from Stadio Flaminio, near transports that will allow you to reach major city sites in few minutes, near shops and restaurants. Independent heating, AC, washing machine, microwave, cableTV, internet WiFi, crib, doorman, balcony, elevator. PLEASE NOTE : There is a tax of 3.5 euros per person up to 10 days of stay except for children under 10 years on top of the price you see posted. “Vasari Large” is situated in a central still quiet area of Rome, a few minutes from the city centre. Even thoug on a low floor, the 120 sq meters apartment is very welcoming and bright; it has 4 rooms, a large living room with a coking area, 2 bathrooms and a small balcony overlooking the internal court yard. Furnishings have been conceived to combine simplicity and attention to details without neglecting functionality: all rooms have air conditioning, free Wi-Fi, 2 modern TV sets with both digital and terrestrial channels, washing machine, iron, hover and hair-dryer. The kitchen is fully equipped and has got a micro-wave oven, refrigerator and freezer, toaster and hand-held mixer. Costs include sheets, towels and consumptions. “Vasari Large” is the ideal holyday place both for families and groups of friends. It is the perfect apartment to discover ancient and modern Rome, walking, by bus or bicycle (bus – cycle-track – bike rental two minutes from the house). All interesting sites are reachable in few minutes. Supermarket, district market and shops are nearby. The apartment has recently been renovated, in such a way as to offer warmth and comfort, and to make you feel at home. The apartment was wonderful! We were 8 adults and there was plenty of room. We were surprised to find a few spices available, always a bonus when self catering. Elisabetta was incredibly helpful and welcoming. I would recommend this apartment to anyone wirh a large party. Ich war bereits zum 2. Mal in dieser Wohnung. Sie ist sehr gut geeignet für Gruppen, oder wie bei uns, für 2 Familien. Die Lage ist ruhig und es gibt jede Menge Alimentari und sogar eine Markthalle in unmittelbarer Umgebung. So kann man sich mit landestypischen Spezialitäten eindecken und es sich am schönen Esstisch gut gehen lassen. Die Vermieterinnen sind jederzeit erreichbar und sehr zuvorkommend. Die Wohnung ist sauber und hell und praktisch eingerichtet. Für Reisende, die gerne ein wenig Abstand zum größten Touristentrubel haben möchten, sehr gut geeignet. Very nice apartment. Good location in Rome. Fine service from Roman Reference. The apartment on arrival in Rome was spotless and clean. Bright and airy and plenty of room and space for 2 familes. The owner was lovely and gave us plenty of information regarding local places to eat, buy food and get around. The location was in a nice subburb and just a short stroll to the tram which took you directly to Piazza Piccolo in max 10mins. Across the road is a huge park with a children's playground. Not criticisms but a couple of things to be mindful of: the details said there were 2 TV's, one of which we thought would be good for our 4 kids, but there is only 1 TV. Also the cable /sat TV isn't really - there is no card in the box so its all italian channels. Didn't spoilt anything as we were hardly there but when kids get up very early its sometimes helpful. The wifi was helpful and thank goodness for ipads! Overall I would recommend this apartment and I would stay again. 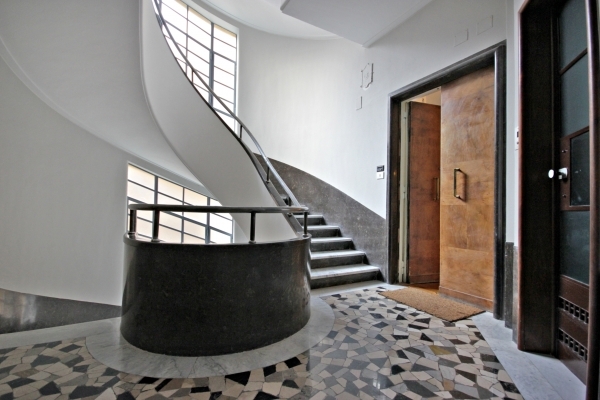 Although slightly off the beaten track of Rome this apartment is beautifully maintained , modern very spacious and bright. We thoroughly enjoyed our stay and would highly recommend it for families or groups. Mhalo nui loa (Thank you very much). Of all the various apartments we stayed in from Florence, Cinque Terre, Venice, + Rome, this was by far the best!! It's nice to end our 2 wk family vacation with this wonderfull venue - relaxing; accessible to markets and restaurant; tranportation to city very easy; Elisabeth + Agnese made arrangements even for our taxi pick up to the airport at 4:30 a.m. + gave us detailed notes on how to get to places + even on renting bikes + bike paths to take. It doesn't get better than this! Look forward to a return trip. Aloha! Thank you for a wonderful stay! The apartment was comfortable and amazing! Also thanks for the Panettone!! The apartment has a very warm interior, and easy to get to the centre with the tram. It was a nice area and took breakfast at the nearby cafè. Love from the Maltese group. We have had a lovely week! The apartment was worked very well for two families and we have enjoined having breakfast at home after shopping at the excellent market. We have also ate a lot of ice creams and some pasta of the local shops - both unforgettable. Thank you for all your help with sorting out various tickets, bike hire, taxis etc. It has helped to make our fantastic visit to Rome go all the more smoothly. Your apartment is lovely - all that it promised to be: quiet, light, spacious and comfortable. The area is great for a glimpse of Rome with the market, cafes and people. But it was also so easy to get into the center to see the sights. Our highlights were: the Colosseum, Villa Borghese, and for the girls: pizzas and ice-cream!